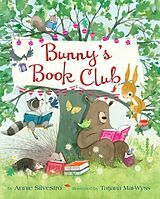 Readers...should enjoy this charming story that encourages them to find their inner talents and to make friends. Rosalind Beardshaw is the illustrator of Funny Face, Sunny Face; Just Right for Christmas; and Just Right for Two as well as many other picture books. When she was ten years old, a television star and artist visited Rosalind’s school and inspired her to draw and draw and draw. She’s still drawing today. She lives in York, England, with her partner and children. Being a fairy isn’t easy! Betty seems to get everything wrong. There’s no way she’ll be picked as the Fairiest Fairy. Or is there? Betty can’t paint a rainbow or scatter dewdrops, and her pirouettes are, well, pretty precarious. 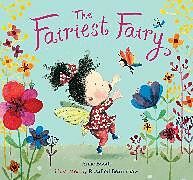 With so many animals to rescue and friends to help, there’s just no time for Betty to perfect all the things a fairy is supposed to know how to do. But when the fairy ball arrives, Betty’s friends return her gifts of kindness in hopes that the King and Queen will decide that Betty truly is the Fairiest Fairy of them all!